Assad and allies hope to take Aleppo before administration change in U.S. The Syrian army has seized several key districts from rebel forces in eastern Aleppo. Russian experts believe that the Syrian government and the countries supporting them (Russia and Iran) are trying to achieve as much as possible before the change of the U.S. administration, in order to have the new American president Donald Trump face facts: The opposition's battle for Aleppo is lost. Syrian government forces backed by Shiite militias have seized several key neighborhoods from the opposition units in the eastern part of the besieged city of Aleppo, splitting the forces opposing them in two and significantly complicating the rebels’ ability to put up further resistance. The Syrian army's advance in eastern Aleppo, which had begun in the middle of November, drastically intensified on Nov. 26. Syrian President Bashar al-Assad's forces were able to capture large districts (Masakin-Khanano and Jabal Badro) from the enemy. On Nov. 28, Syrian troops, with the support of Shiite militias from Lebanon, Iraq and Iran, successfully drove rebel forces out of the districts of Khaidaria, Sheikh Khider and Al Sakhur, dividing the territory controlled by the rebels into southern and northern zones. "The government army is now in control of 12 city districts," the Russian Center for Reconciliation of Opposing Sides in Syria announced on Nov. 28. According to the center, the government forces have retaken 40 percent of the territory in eastern Aleppo, although Western sources say "more than 30 percent." The Al Mayadeen pan-Arabic TV channel reports that Damascus's opponents are suffering losses and are retreating in the southern districts, and dozens of soldiers have surrendered. Military experts believe that if the government forces continue to advance at this pace, they will be able to establish full control of Aleppo before the end of the year. The defenders of eastern Aleppo have found themselves in a crucible and creating a new defense line after the losses of key districts will be extremely difficult. The shortage of heavy equipment and prepared firing positions is taking its toll. Moreover, to an extent the defenders' strength has been exhausted and reinforcements are not on the horizon. Aleppo, which before the war was considered Syria's economic capital, has a symbolic significance. It was the first city to be partially conquered by opposition units in 2012. And now, if the attack is successful, Assad will markedly strengthen his position in peace negotiations, since he will have control of five large cities in the country: Damascus, Aleppo, Holms, Hama and Latakia. "Assad's objective, as well as that of Russia and Iran which are backing him, is to make the best possible use of the two months of ‘timelessness' in the U.S., when the presidential elections are finished but the new administration has still not begun working," said Vladimir Sotnikov, director of the Russia-East-West Center for Strategic Studies in Moscow. "Donald Trump will have to face facts. 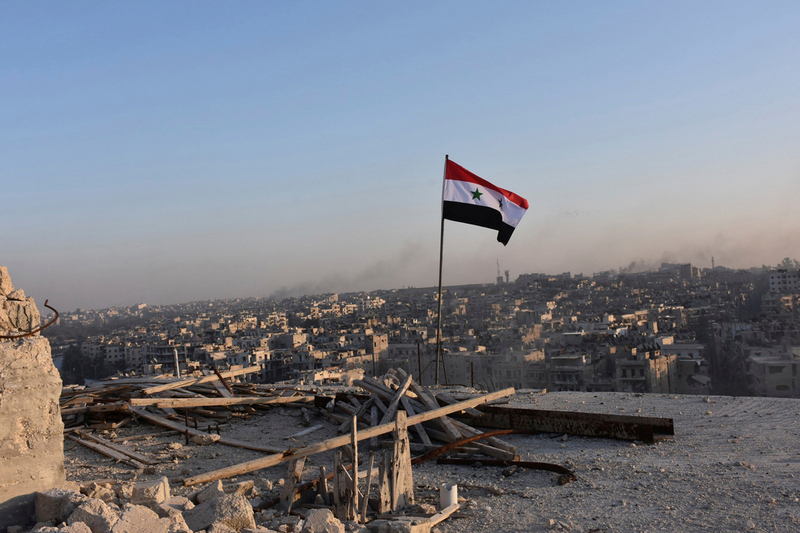 If by the end of January, when he moves into the White House, Aleppo is entirely under the control of the government forces, Damascus will have an advantage in the upcoming talks on Syria and no one will raise the issue of removing Assad,” said Sotnikov. Sotnikov believes that it is no accident that shortly before the government army's decisive advance in eastern Aleppo, Russian President Vladimir Putin and his Turkish counterpart Recep Tayyip Erdogan discussed the situation in Syria twice on the telephone in the course of two days. "It is logical to presume that during these talks Erdogan gave the Syrian government carte blanche to attack in Aleppo. Without Ankara's support, the opposition units, which until recently were regularly receiving assistance and weapons from Turkey, will find it extremely difficult to hold on to Aleppo,” said Sotnikov. The radical change in the situation in Aleppo has activated American diplomacy. According to The Washington Post, U.S. Secretary of State John Kerry "is making desperate efforts" to obtain a ceasefire in Aleppo from Russia. The publication believes that Kerry is afraid that once Trump moves into the White House he may "make a different agreement with Moscow" on Syria, which would mean that Washington will have "taken sides with the dictator Assad."